Computer chip maker Intel paid handsomely for a piece of the next big thing Monday as it offered more than $15 billion for Mobileye, an Israeli company at the forefront of autonomous vehicle technology. The purchase, scheduled to close by year's end, creates another major player in self-driving technology as traditional automakers and tech companies vie to put the cars into public use. Most companies have predicted autonomous vehicles will be carrying people in the next three-to-five years. The big investment by Intel validates predictions that autonomous cars will someday come in large numbers, signifying a sea change in the way we all get around, said Timothy Carone, a Notre Dame University professor who has written about the future of automation. "Major players are finding ways finding ways to position themselves for a change as seminal as the personal computer revolution," he said. Jerusalem-based Mobileye, which makes software that processes information from cameras and other car sensors to decide where the cars should steer, has products on just about every automaker's autonomous test fleet. 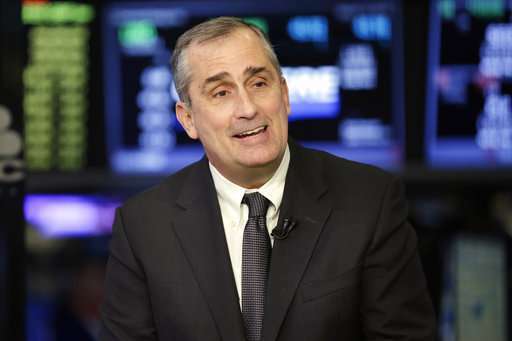 The combination with Intel adds hardware, more software expertise and data centers that the companies say will hasten deployment of autonomous technology, including wider use of automatic emergency braking and other technologies that already are on the roads. Automakers and some technology companies are testing autonomous vehicles in California, Michigan and a few other states. Mobileye has partnerships with many of them, including testing cars with Intel and BMW. The Mobileye deal will help put Intel in the driver's seat in terms of supplying vital parts of autonomous vehicles, said IHS Markit analyst Akhilesh Kona. Besides Mobileye's technology, Intel is gaining access to major automakers and parts suppliers, Kona said. "They have captured a piece of what should be a fast-growing market." Intel and Mobileye are targeting an array of sensors and camera systems that are expected to generate annual sales of $10 billion by 2022, quintupling from about $2 billion this year, IHS estimated. 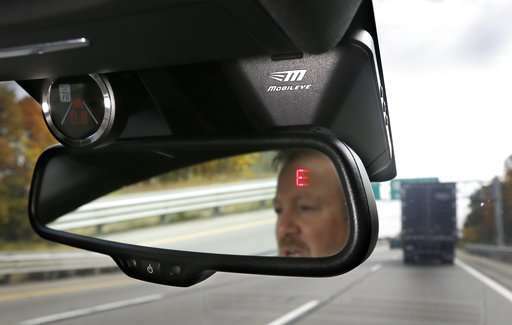 Mobileye controls about 70 percent of the world market for driver assistance systems such as automatic braking, lane centering and pedestrian detection. IHS expects as many as 21 million autonomous vehicles to be sold by the year 2035. But there are still a number of obstacles to overcome. Companies still haven't aren't certain how the cars will drive in snow or other bad weather, and it will be difficult for cars to be programmed to handle numerous local traffic customs. Also, no one really knows yet when the cars will be safe enough to remove human backup drivers. The rise of mobile devices caused a decline in the personal computer market and undercut Intel's growth and influence in the technology business. Now Intel is expanding into other potentially fertile fields. 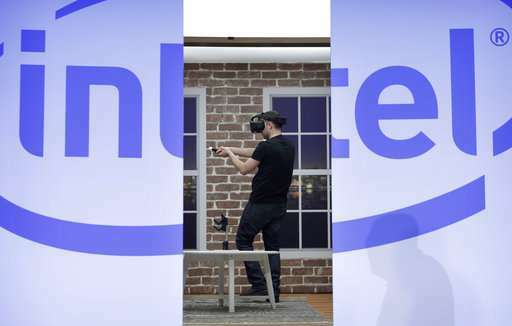 Besides setting its sights on the still-nascent driverless car market, Intel also has been investing in wearable computers, such as smartwatches, as well as drones. The companies said Monday's deal combines Mobileye's software with Intel's hardware, data centers and its own software, giving automakers a one-stop place to shop for autonomous systems. 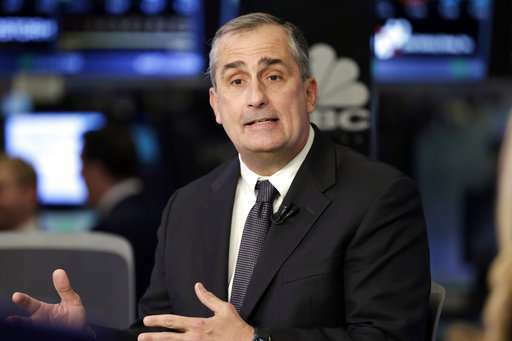 "This acquisition essentially merges the intelligent eyes of the autonomous car with the intelligent brain that actually drives the car," Intel CEO Brian Krzanich wrote in a note to employees. The deal moves Intel-Mobileye to at least parity with Google's Waymo, Uber Technologies and car companies for autonomous car leadership, Carone said. It's likely to pressure competitors into signing more deals, he added. The acquisition should have little short-term impact on competitors such as Autoliv and Continental, and Intel and Mobileye already are working with supplier Delphi and BMW to test cars, Jefferies analyst Ashik Kurian wrote in a note to investors. But in the long-term as the market moves toward more autonomous vehicles, the hookup "confirms our concern about the emergence of new large and well-capitalized competitors" threatening auto suppliers, Kurian wrote. Intel Corp. will pay $63.54 for each share of Mobileye N.V., a 34 percent premium to its Friday closing price. That's below Mobileye's record high closing price of $64.14 in August 2015 after Morgan Stanley raised its target price on the shares to $80. 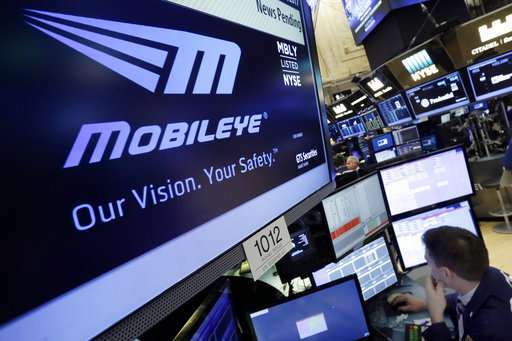 Mobileye NV's stock closed Monday up 28 percent to $60.62. 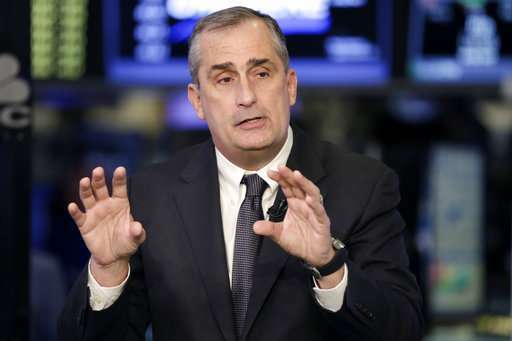 Intel shares fell 2 percent to $35.16. The boards of both companies still have to approve the transaction. The companies put the equity value of the deal at $15.3 billion. The combined global autonomous driving company, which includes Mobileye and Intel's autonomous driving group, will be based in Israel. This means it is time for national standards of some roads for signs, turn-offs, lane markers, and communications between cars. Well Cher if you would get out of your neighborhood more often you would not write such a silly thing. Why you think all the signs and lane markers in all the states look the same? Just a coincidence, eh? Aren't you the Skippy who was whining about how dangerous the Interweb-Of-Things and smartphones are because your older brother was going to take them over and ruin my day? If it's all the same to you, I would rather my car not be exposed to your car's tweeters because your tweeters are pretty stupid. Do either of you have a life? Am I your only fixation? Enough of a life to have seen the highway and roads signs in about 3 dozen different states, and never had to wonder why they all were the same. Now you do not have to any more, eh? Non, you are more like the "Trump" of the physorg and GREAT BIG FUN..
Now you don't have to wonder about that one too, eh? You are too old and mental for that to happen.